Our Annual Summer Sale is Here! 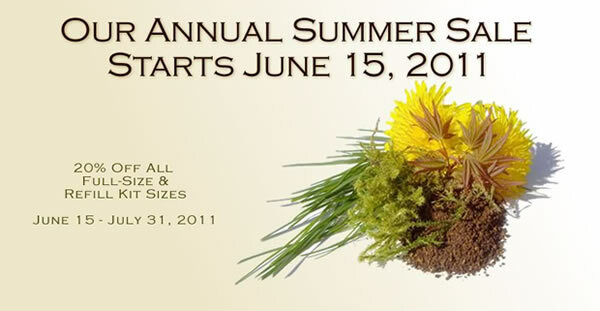 From Wednesday, June 15, 2011, until Sunday, July 31, 2011, all of our full-size minerals will be on sale at 20% off. This sale runs for such an extended amount of time as we want to make sure that everyone has a chance to order samples, test them out and still have enough time to order full-size jars or refill kits. Sale ends midnight Sunday, July 31, 2011. New Velvet Matte Blush Shades! As promised we have added several new shades to our Velvet Matte Blush line. Neopolitan is a creamy pink with mild brown undertones. Sienna is a rich umber shade and Brick is a velvety redish brown. 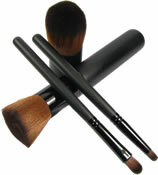 We have added several new eye shadow brushes to our synthetic brush line. These elite brushes pick up color well and deliver a soft and smooth application. Synthetic bristles are hypoallergenic and safe for sensitive skin. They clean and dry quickly and do not shed. Extremely durable our new eye shadow brushes provide for the softest application of Buff'd Mineral Cosmetics. Detail, Slanted Liner, Smudge, Shadow, Angled Shadow and Crease.